Skill Points and Stat Points: Making Your Character Stronger! If you've played Ragnarok Online 1, then you'll have a familiar friend in the Skill and Stats system in Ragnarok Online 2! There are a few key differences though. 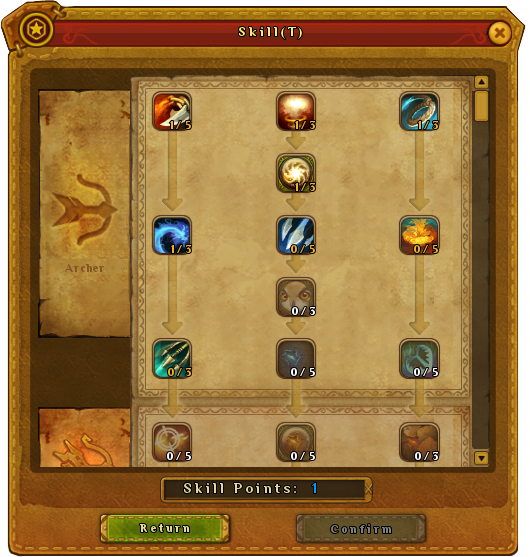 Skill points are no longer tied to your job level, as your job level now refers to your crafting profession (link to profession page)! After you advance in level, you'll find two icons will appear on the right side of the screen. 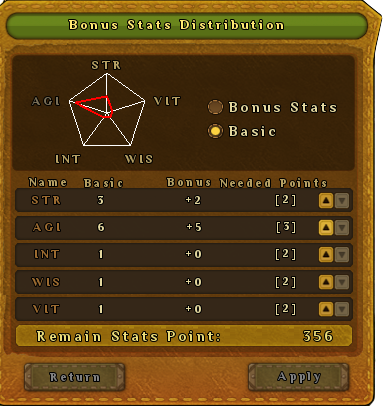 Whenever you gain a level and you have stat or skill points to spend, you can simply click on on one of these buttons! This will open up the appropriate window. As your character grows strong, you will be able to gain more and more skill points to spend to unlock more powerful skills! Until your job change at level 25, you'll only have your base class to add points to. Once you change jobs, you'll be able to unlock the powerful skills of your second class!